Today we have a topical and excellent article from our friends at Picture Correct, giving you all the advice you need to help you take images of Christmas Lights, both in the home and outdoors. 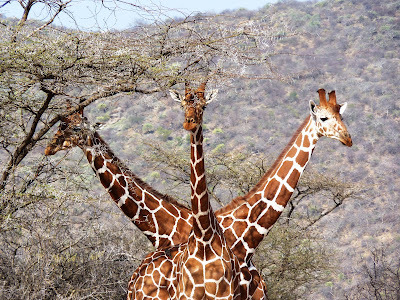 It was written by Chuck DeLaney who has been a professional photographer for over 30 years. Since 1998 he has been the director of the New York Institute of Photography, America’s oldest and largest photography school. To read the article in full, which includes some very good images to illustrate the advice given, follow this link: Christmas Light Photography Tips. Here are a couple of my attempts at photographing Christmas Lights, both taken in London last Decmber. 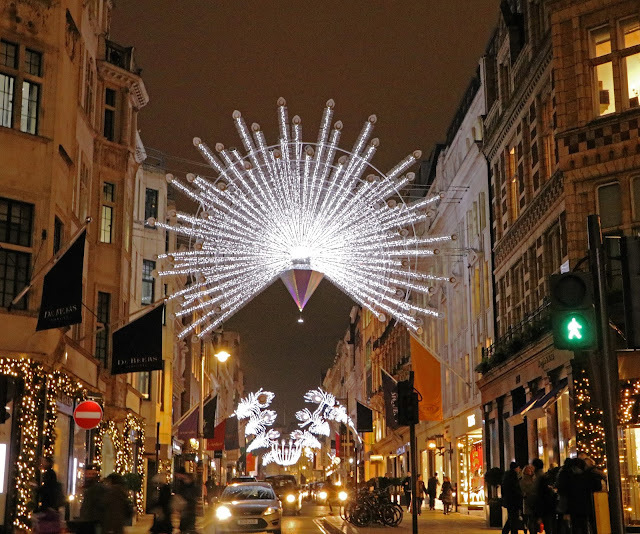 Christmas lights and decorations looking down Old Bond Street, London. Today we have a great article from Picture Correct, written by Clive Anderson, which gives some valuable tips on how to learn to photograph birds in flight. For those of you who have tried this, you will know that it can be quite difficult to obtain a sharp, well positioned image. If you follow thesed basic tips you will soon be taking photos that you are pleased with! 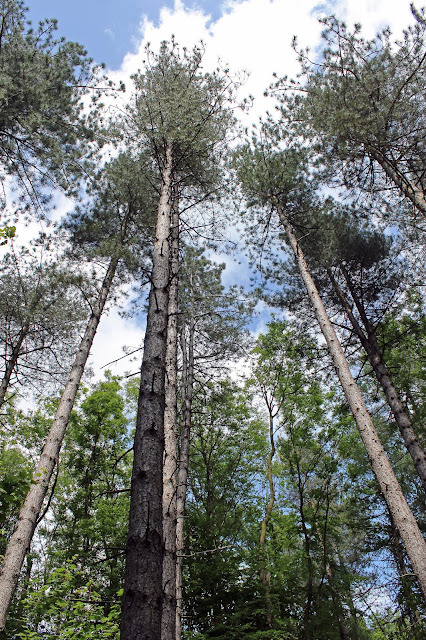 Being able to capture good images using a DSLR (Digital Single Lens Reflex) camera can be extremely rewarding. And some of the best pictures that we can take tend to be the hardest. Once we have a pretty good understanding of some of the camera’s functions both on automatic and manual mode, we can focus on the job of putting this information to good use. One of the hardest images to capture tends to be of something that is moving, but there are ways to make it a little easier to master. I have to admit that I have not done much practise on this topic and consequently, while I have dozens of images of "birds on sticks" I only have a few decent ones of them in flight, including the following two. 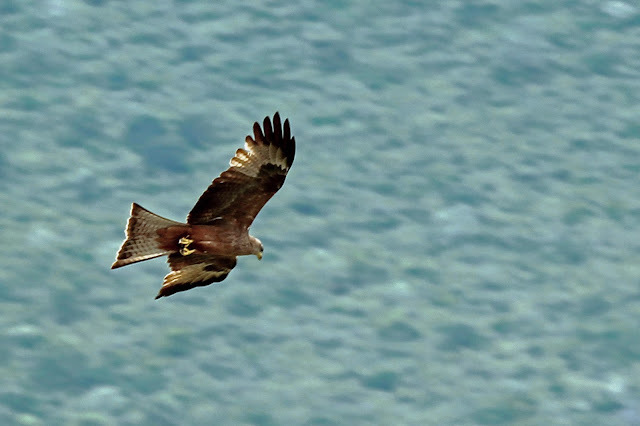 Black kite at Ngorongoro crater, Tanzania. 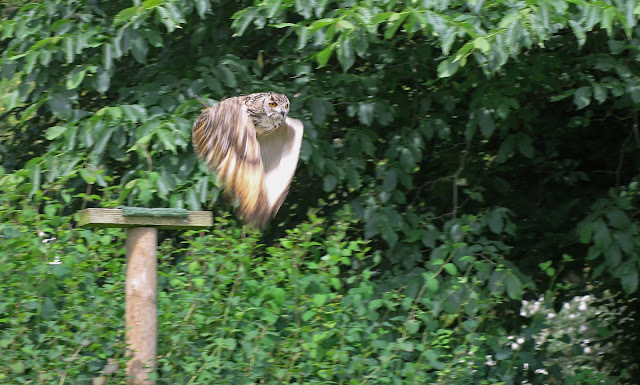 A European Eagle Owl at a falconry display at Dunrobin Castle, Dunrobin, Scotland. I took photography up as a serious hobby, quite late in life, only about 7 years ago, but had been taking photos of holidays, family events etc., for about 50 years before then! It was only after I had joined a local camera club and started to learn about the art of composition that I began to actually look through the lens and think about what I was doing, instead of simply pointing the camera at an object and pressing the shutter. This excellent article from Picture Corect, written by Alphonso Sanchez, founder of www.IrisMasters.com, shows others how to open their eyes to the breathtaking photo opportunities all around them. It’s easy to be swept away by the technical demands most DSLR cameras require. But as a new photographer, it’s critical that you develop your composition skills. Your ability to compose a powerful, visually captivating image is one of the most important keys to a great photograph. So how do you begin? First, let’s dive into what composition is and what composition isn’t. Many beginners get the wrong notion of the skill and as a result find improvement difficult, if not impossible. Here are three of my images which, I hope demonstrate some of the composition points made in Alphonso's article. The twin toddlers were precious in matching red & white outfits. I was getting big smiles from everyone and the session was a dream come true, especially considering the kids were so little. I was in the zone, snapping away, creating memories I knew the family would love. I didn’t keep an eye on my exposure indicator. I realized after the session that many photos of this adorable family were overexposed, simply because I got a little careless. Fortunately, I was shooting RAW, so I was able to fix the problems in Lightroom. The danger of losing this precious session, and the wasted time fixing it in Lightroom, were a great reminder to ensure I’m always aware of my exposure indicator. If you haven’t given much thought to that little meter on your camera, learn from my mistake of not keeping that arrow where it should be! The exposure indicator is visible on your LCD and in the viewfinder on your camera. Each number represents a stop change in light, with the central point being the correct exposure in most cases. In some cases, you may choose to over- or underexpose an image depending on the look you want. It’s true, there is a lot to keep in mind during a photo session - including your exposure indicator and what exposure metering mode your camera utilizes. So, getting to know your camera controls front to back is indeed necessary. It may seem complicated, but once you understand how the buttons, numbers and terms work together, operating your camera will become second nature. You’ve got a great camera - let me help you learn how to use it to take amazing photos! This course (eBook+videos) will have you beautifully photographing the people and things you love in no time - even if your camera is still in the box. With Black Friday just around the corner, we’ve packaged this tutorial especially for our Black Friday Sale! For less than half the cost of a professional photo session, you can learn to use your camera like a pro and capture a lifetime of amazing photos. Today's article from Picture Correct gives some valuable tips on taking street photographs at night, and is written by Juan Jose Reyes, a street photographer based in Miami, Florida. Taking pictures at night gives an image a completely different feel because it captures different stories of daily life—sometimes more dramatic than the ones captured during the day. There is also a whole new cast of characters at night that make taking pictures on the streets after dark an even more adventurous experience in street photography. 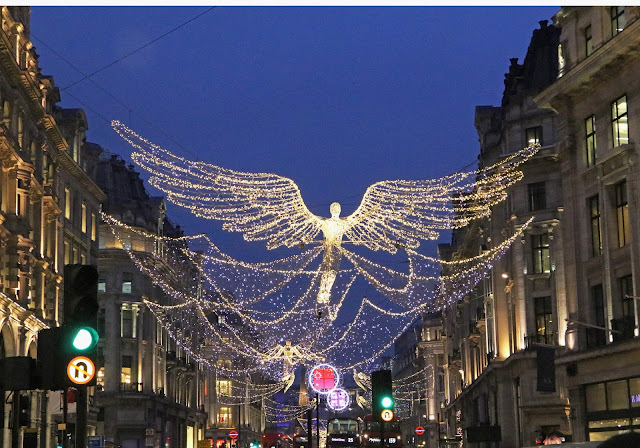 Here are a selection of my own night photos, most of which show the Christmas Lights in London, which I find a great subject for night photography. 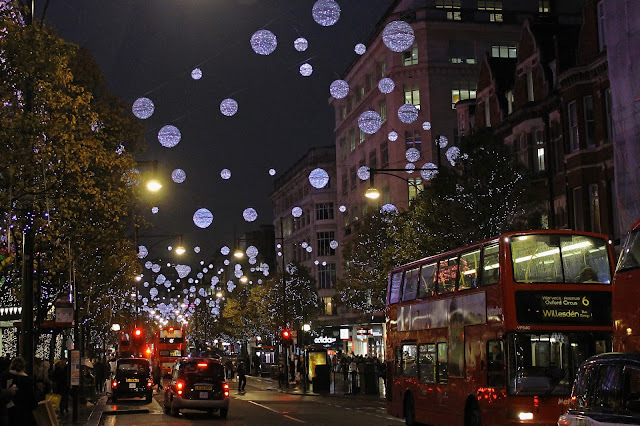 Christmas lights in Oxford Street, London, taken from outside Selfridges. 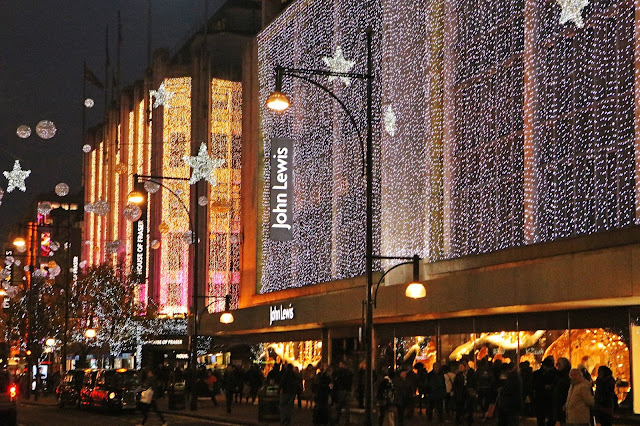 The John Lewis store on Oxford Street, London, lit up for Christmas. 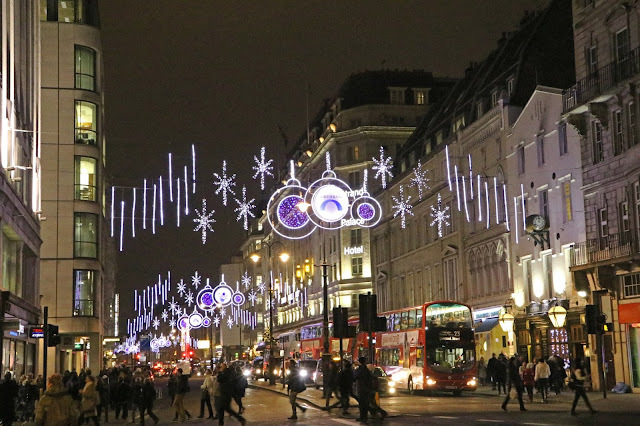 Christmas decorations on The Strand, London. 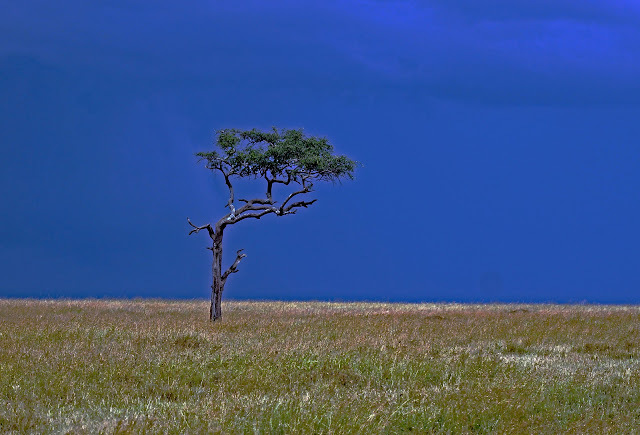 In today's article, courtesy of Picture Correct, Mark Eden shows how to make the best of bad weather in your photography. 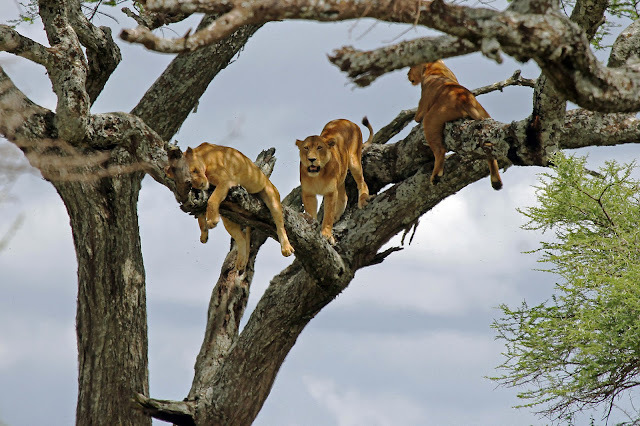 Mark is a freelance travel photographer and writer, and the founder and director of Expanse Photography.. 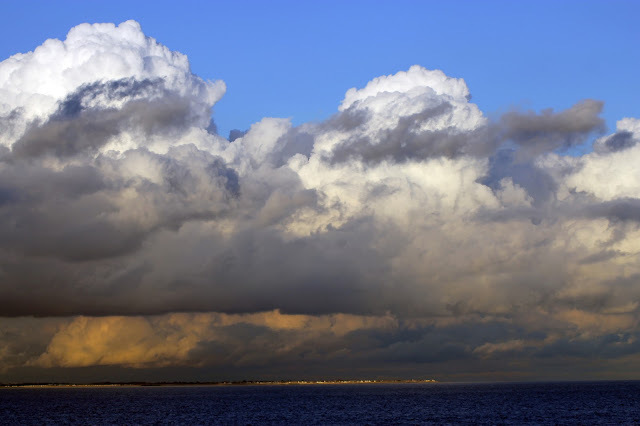 Here are a couple of my photos where I have used storm clouds to make an atmospheric image. I recently visited Lanzarote in the Canary Islands, the home of the artist Cesar Manrique. He was born in Arrecife, Lanzarote and fought in the Spanish Civil War as a volunteer in the artillery unit on Franco's side. He attended the University of La Laguna to study architecture, but after two years he quit his studies. He moved to Madrid in 1945 and received a scholarship for the Art School of San Fernando, where he graduated as a teacher of art and painting. Between 1964 and 1966 he lived in New York City, where a grant from Nelson Rockefeller allowed him to rent his own studio, where he painted many of his works. Manrique had a major influence on the planning regulations in Lanzarote, when he recognised its tourist potential and lobbied successfully to encourage sympathetic development of tourism. One aspect of this is the lack of high rise hotels on the island. 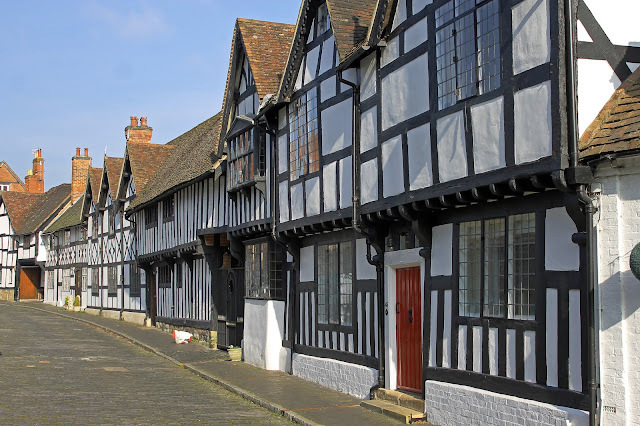 Those that are there are in keeping with the use of traditional colours in their exterior decoration. His work as an ecologist was ultimately rewarded in 1993, when Lanzarote became the first island in the world to be designated a UNESCO biosphere. He died in a car accident at Tahíche, Teguise, very near the Fundación, his Lanzarote home, in 1992. He was aged 73. 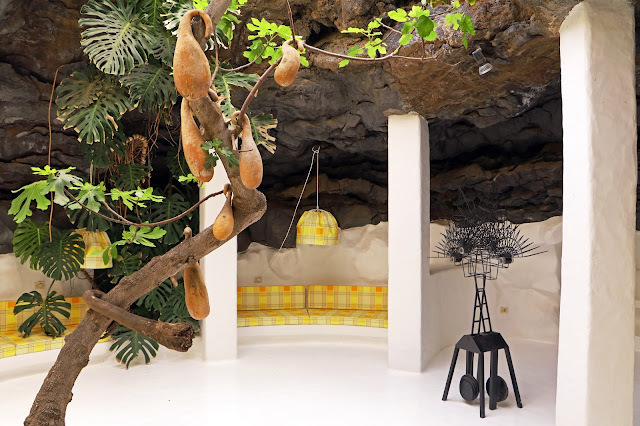 There is evidence of Manrique's work all over the island, but I concentrated on his home, which is now home to the César Manrique Foundation, the Cactus Garden (Jardí­n de Cactus) and the Jameos Del Agua. Manrique's home itself is built within a 3,000 sq. metre lot, on the site of the Lanzarote eruptions in the 18th century, and was created upon Manrique's return from New York City in 1966. 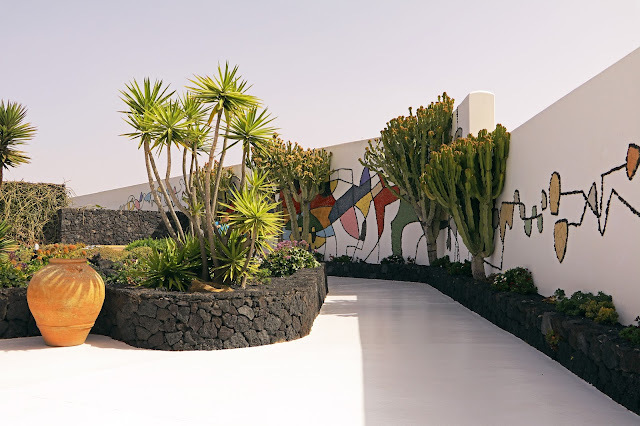 The rooms on the first floor, including the artist studios, were created with the intention of keeping with Lanzarote traditions, yet making them more modern with open spaces and large windows. The "ground floor", more appropriately titled the "basement", contains five areas situated within volcanic bubbles, the rooms bored into volcanic basalt. There is a central cave which houses a recreational area, including a swimming pool, a barbecue and a small dance floor. The images above show two of the basement rooms. The first one is, unsurprisingly, the White Room, with a concrete sofa with white vinyl cushions and a marble coffee table. The second image is of the Red Room and features a centre-piece of a dead fig tree. On leaving the basement you enter a formal garden containing a large mural on the wall, created out of broken tiles and depicting several bulls. The planting of this garden is sensitive to the mural – bright coloured flowers mimic the bright colours of the broken tiles. Moving on from his home, we go to the Cactus Garden he designed. A giant, eight metre high, green, metallic sculpture of a cacti, stands over the car park and main entrance to the Cactus Garden (Jardí­n de Cactus). 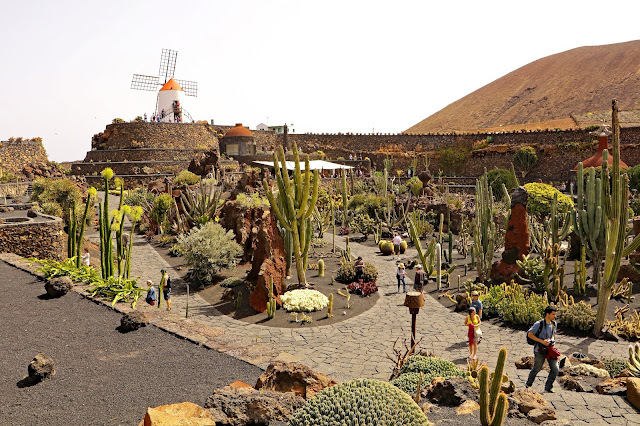 The Cactus Garden contains over 10,000 different plants as well as a windmill. 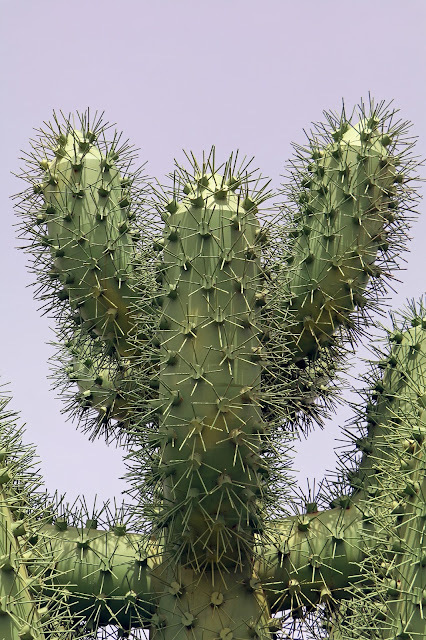 A close up of one of the many cactus. 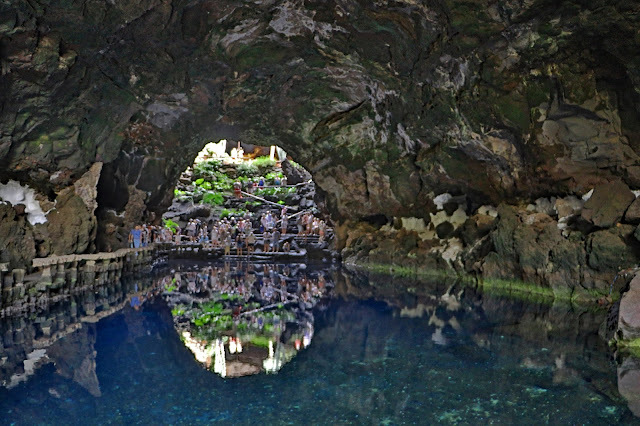 Finally we take a look at the Jameos Del Agua. The underground salt water Lagoon, Jameo Chico, is host to a Species of Blind Albino Crab that is found nowhere else. 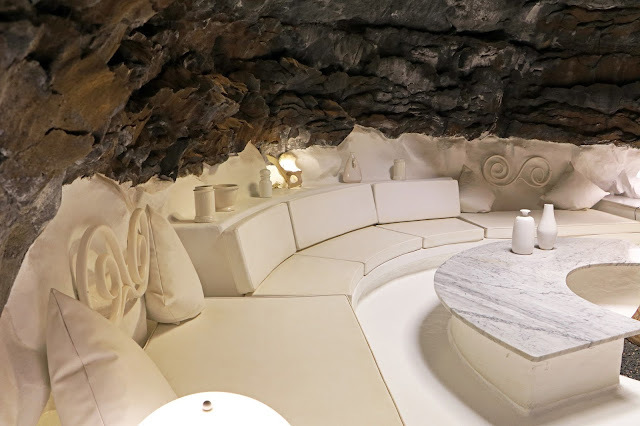 It is part of Jameos Del Agua, in the north of Lanzarote, which César Manrique helped to create during the 1960's, where these natural 'jameos' have been turned into an Auditorium, Swimming pool, Gardens and Restaurants. 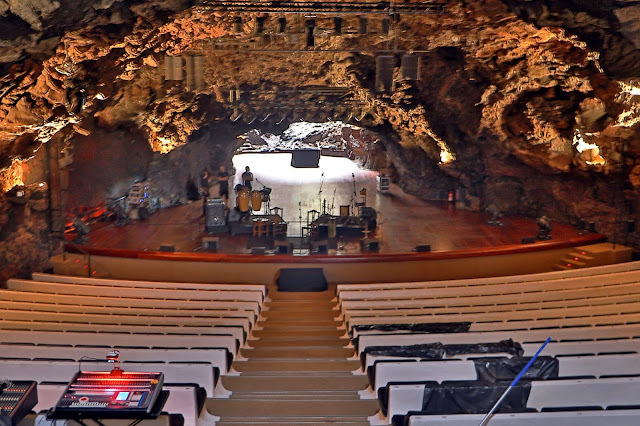 The auditorium in the Jameos Del Agua. If you go on holiday to Lanzarote, it is well worth leaving the beach or the hotel pool for a day to visit these sights and more. 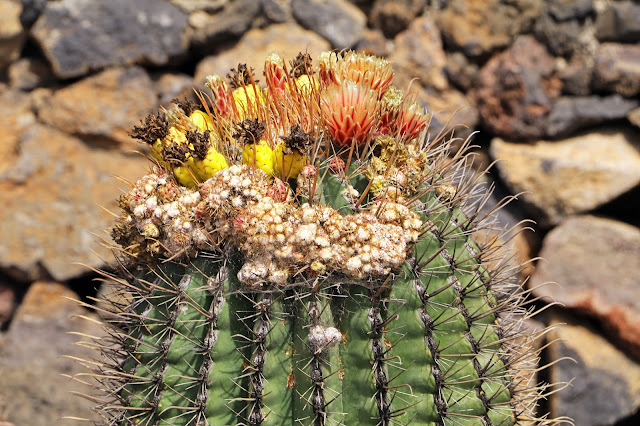 For more in depth information on Cesar Manrique and on what else there is to see and do on the island, go to the Lanzarote Guidebook website. Follow this link to buy canvas prints of Lanzarote or go here for cesar manrique prints for sale .